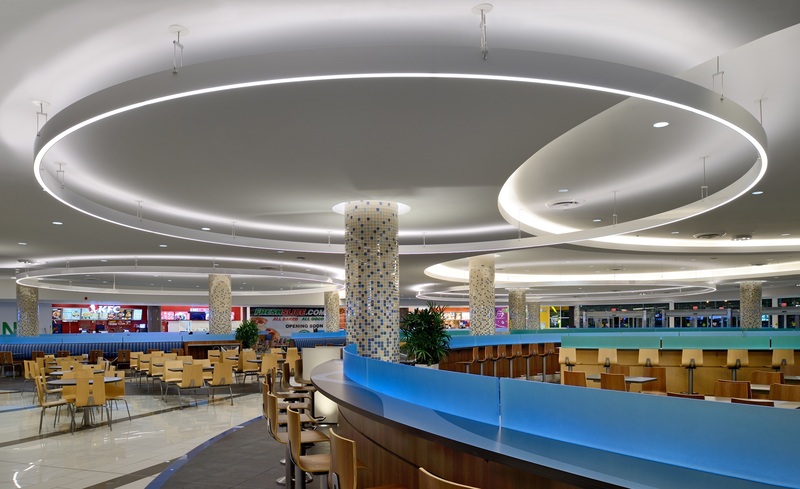 The original food court design for this project incorporated a series of completely custom circular luminaires designed by Pivotal Lighting Design of Seattle, Washington. Due to their custom nature, these luminaires were expensive and a challenge to source. Serendipitously, VoksLyte’s Tangent UpDown luminaire was very similar to the original concept, offered a customizable standard product, but with a smaller form factor and improved energy savings. 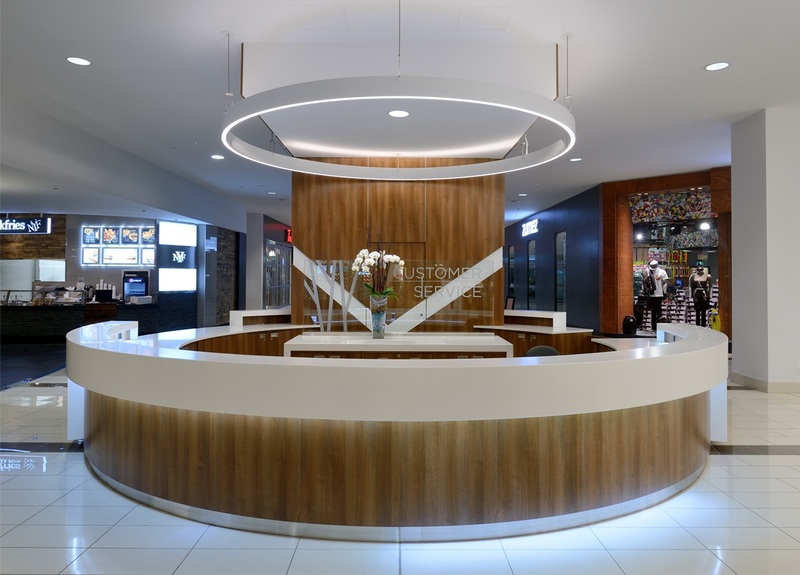 Vancouver’s Musson Cattell Mackey Partnership guided the project towards the VoksLyte luminaires. The resulting large diameter luminaires are arguably the standout of all the lighting within Guildford Town Center Mall.